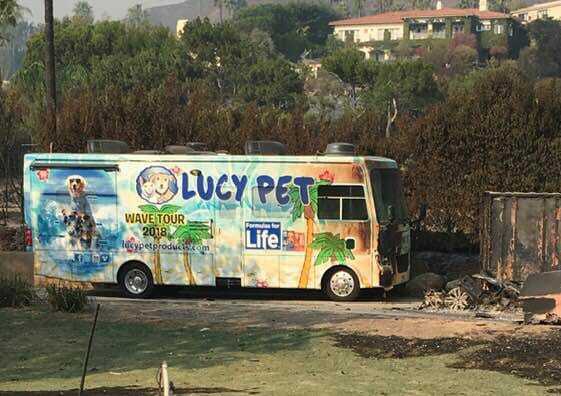 As the California Wildfires continue to rage, the Lucy Pet offices were part of the evacuation zone last Friday. Our team and our pets all safely evacuated. Luckily, our offices were spared the fires. Some members of our team’s homes were affected, including one in Malibu that burned to the ground. Amazingly, the Lucy Pet RV survived and stood strong, surrounded by devastation. We are grateful that everyone on our team is safe, and Lucy Pet resumes normal business operations today. They say “You have two hands. 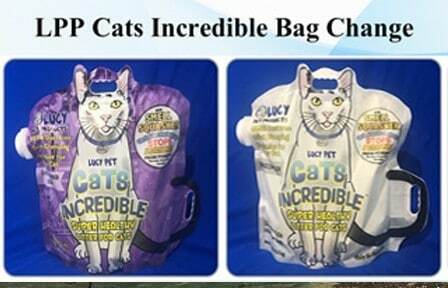 One to help yourself, the second to help others” We would like to thank everyone for their concern in the midst of the devastating Southern California Wildfires. We stand shoulder to shoulder with our community and promise to do everything in our power to help those in need. The best way for us to begin to heal is to help others, and over the weekend distributed over 2,000 lbs. 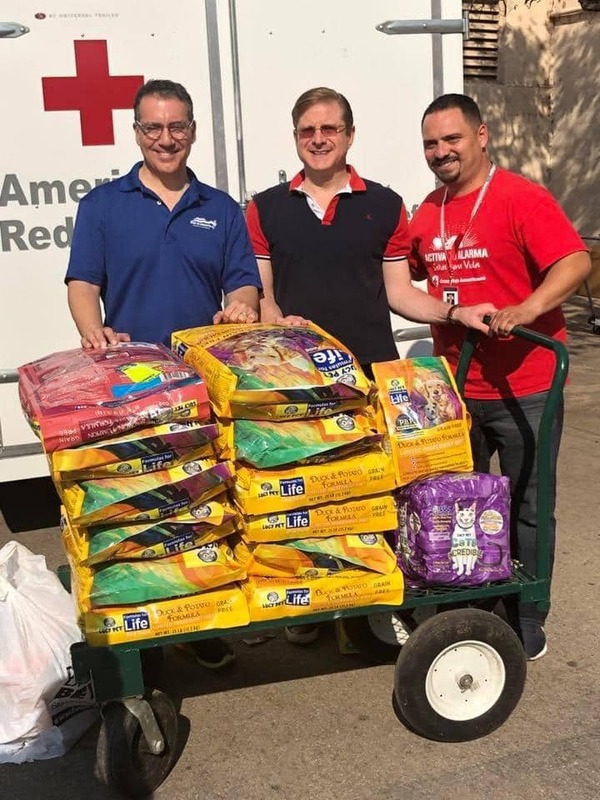 of pet food to local shelters and evacuation centers that are caring for animals displaced by the fire. We will continue to need your prayers and support in the coming days and weeks as our community comes to terms with the devastation and begins to rebuild.